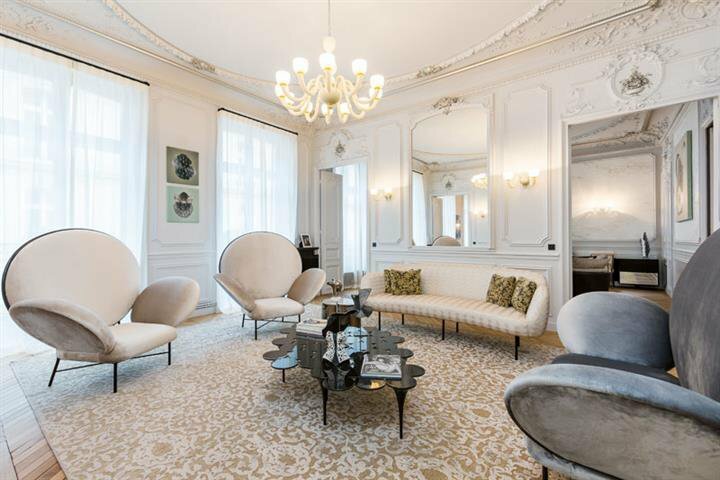 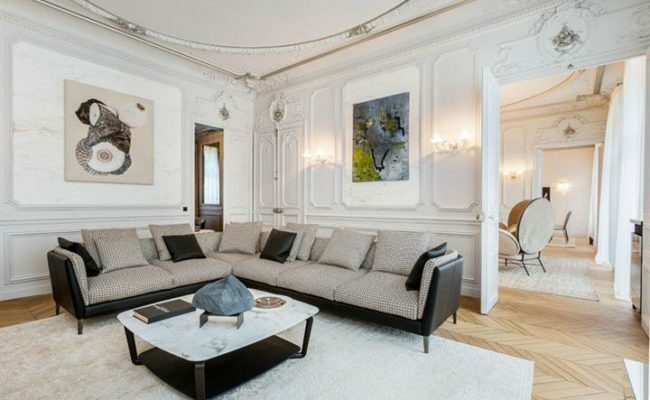 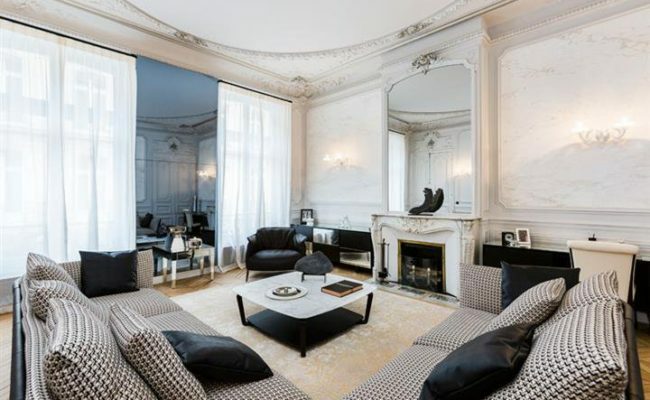 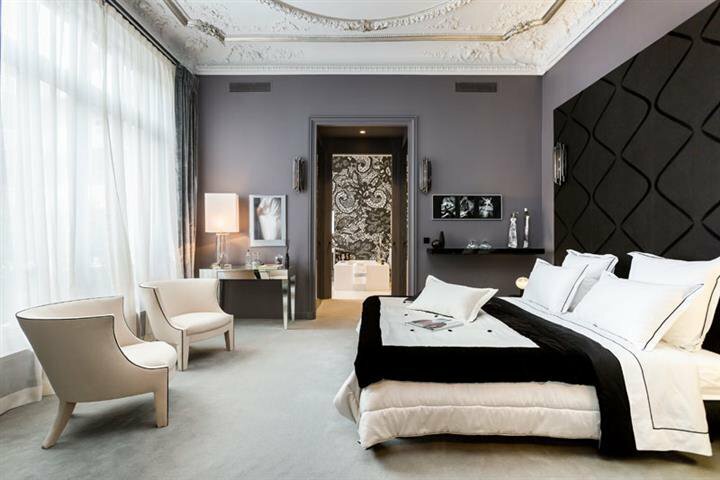 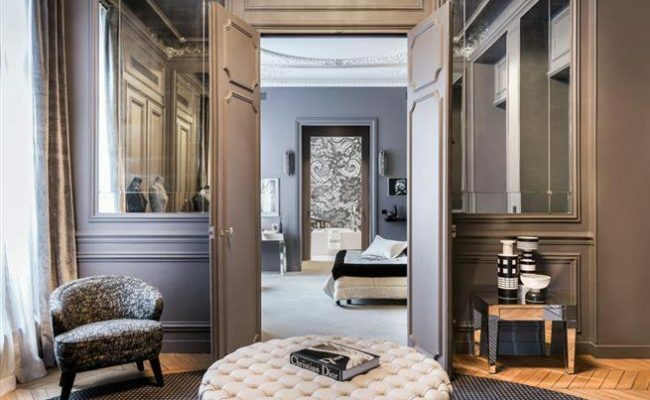 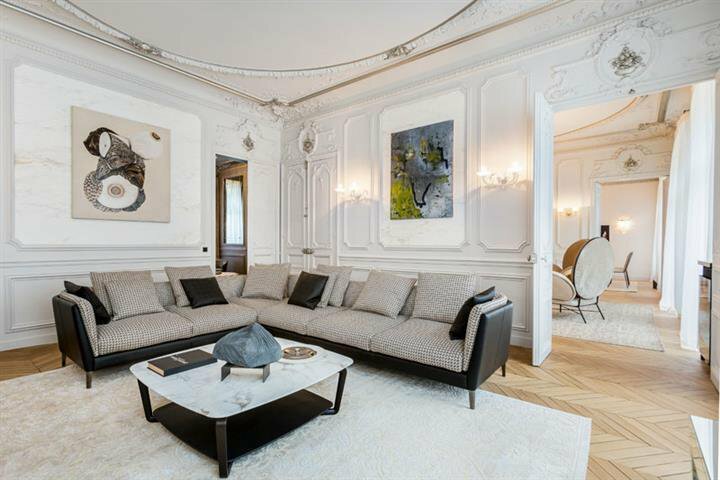 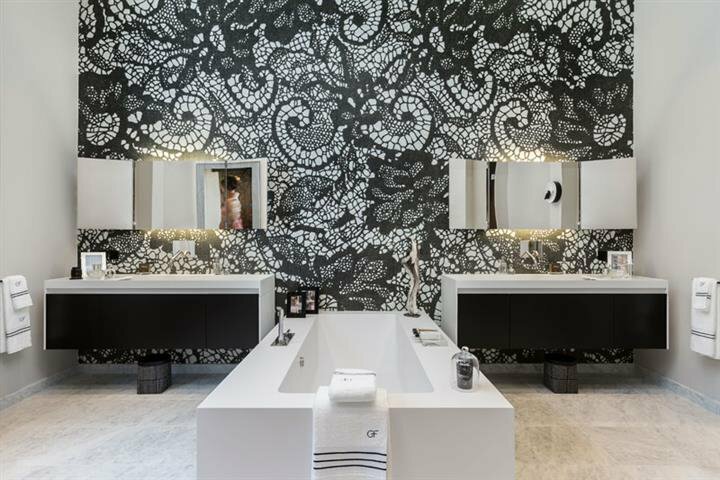 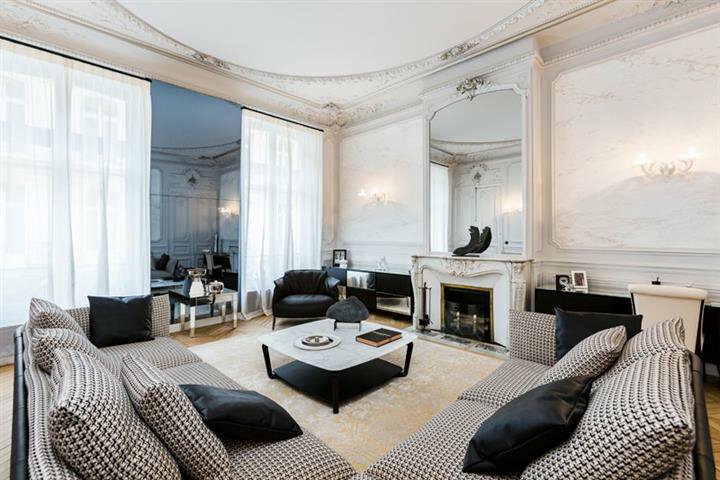 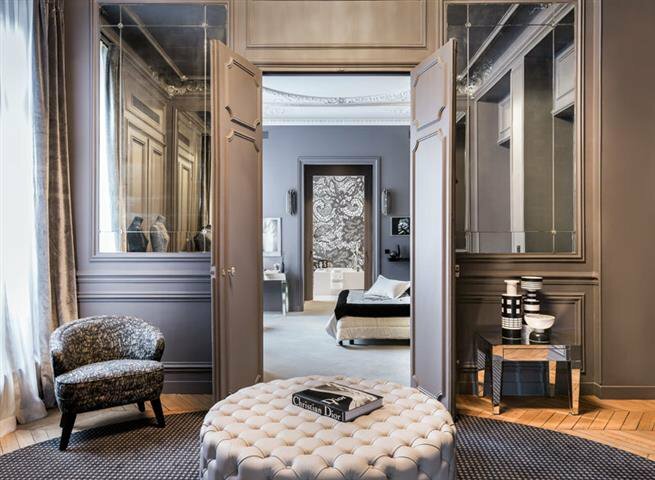 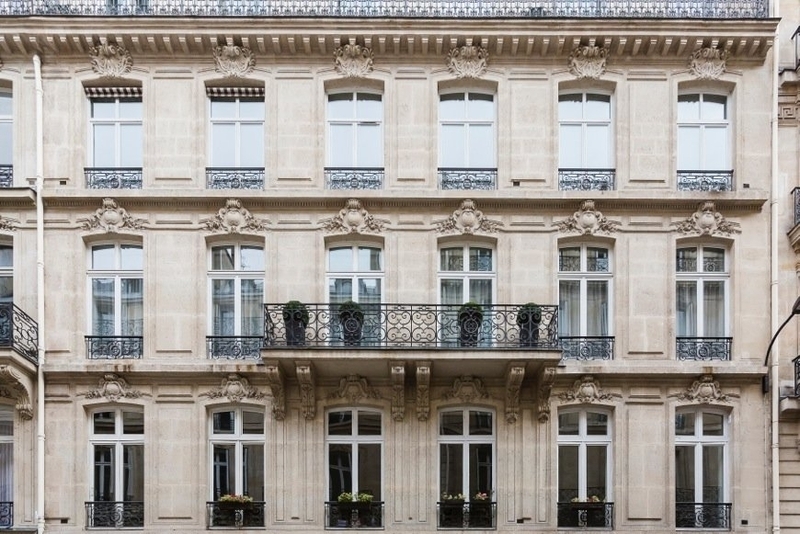 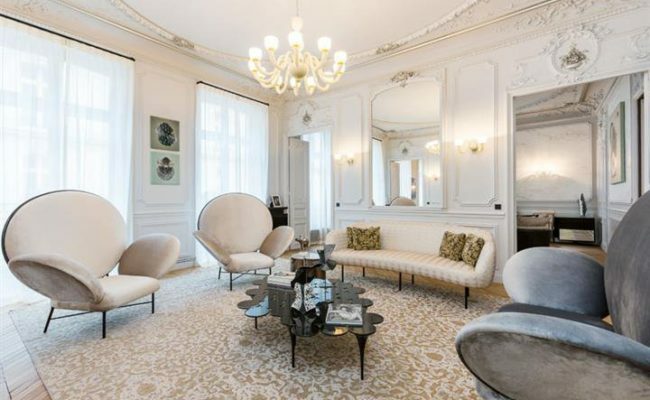 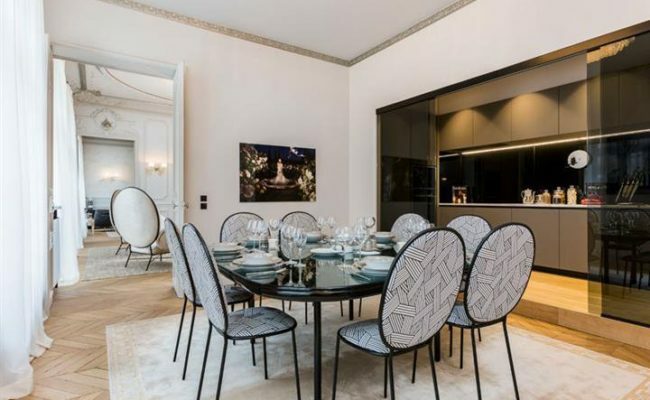 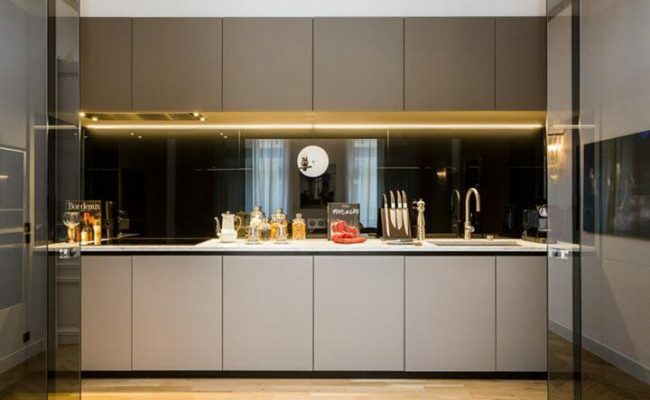 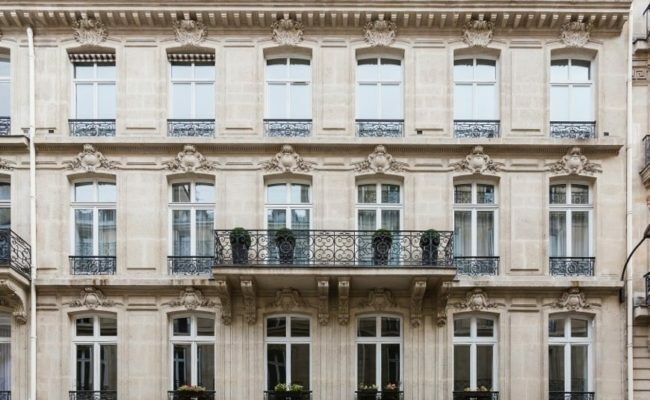 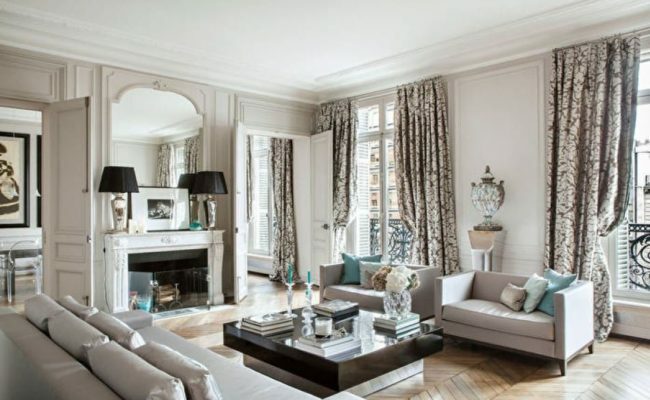 Located in the center of the coveted Golden Triangle area of Paris, an area known for its palaces, mansions and Haute Couture shopping, this beautifully renovated 204 m2 property boasts 3.6 m high ceilings and beautiful volumes. 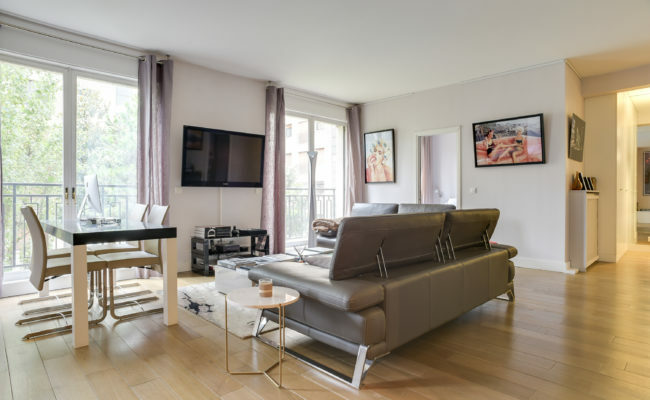 The second floor (etage noble) property features a large balcony with an open view, gorgeous reception rooms, plus dining room, fully equipped eat-in kitchen, two master bedroom suites, each with its own bathroom and dressing area. 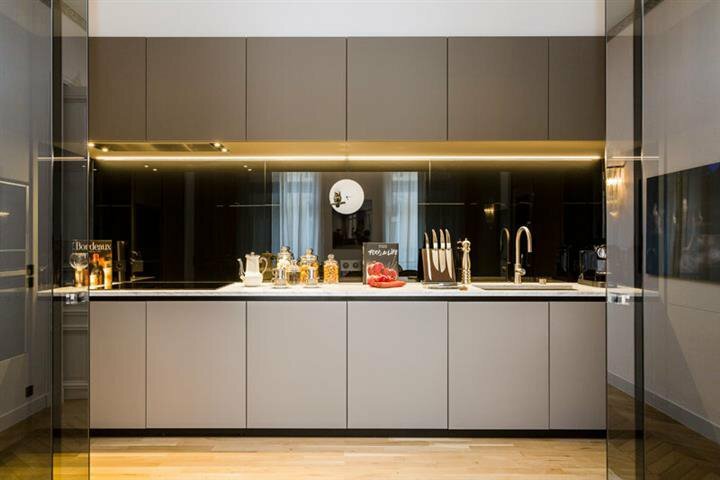 The apartment boasts a smart house system that controls the lighting, sound, security and air-conditioning / heating. 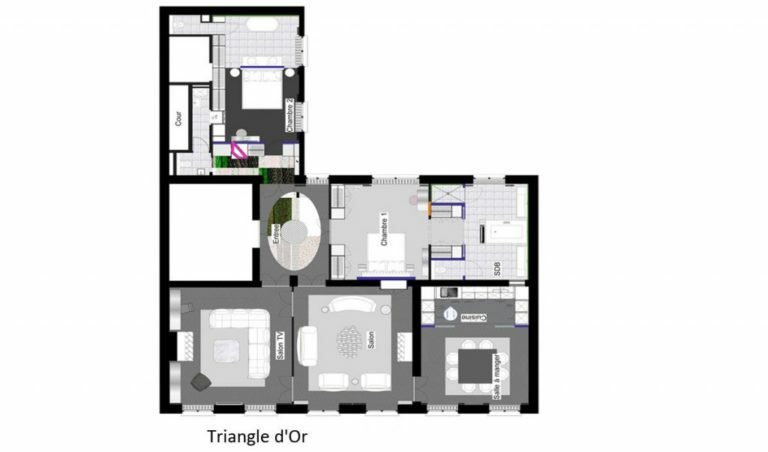 Cheminée, Ascenseur, Gardien, Double vitrage, Interphone, Digicode. 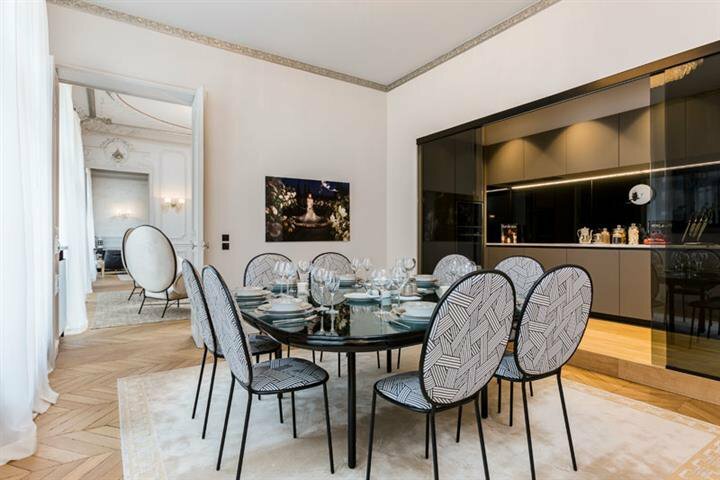 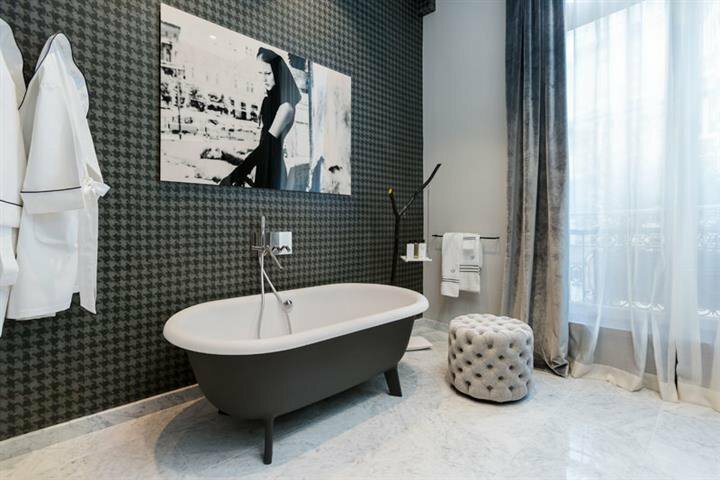 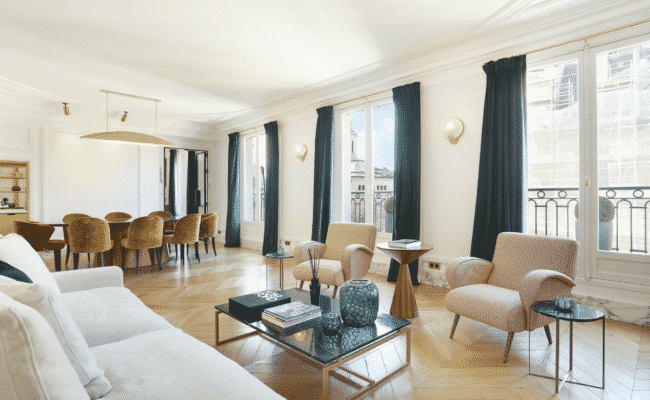 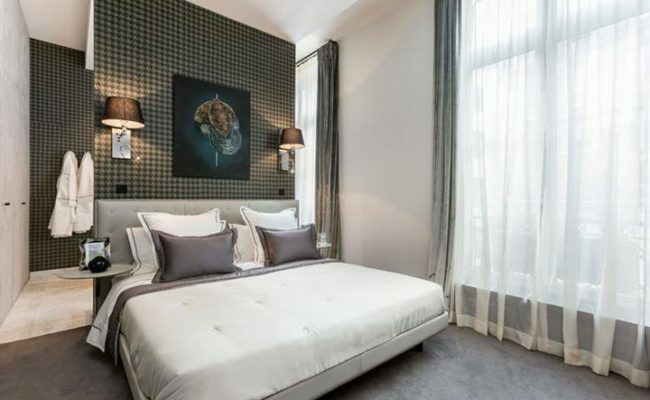 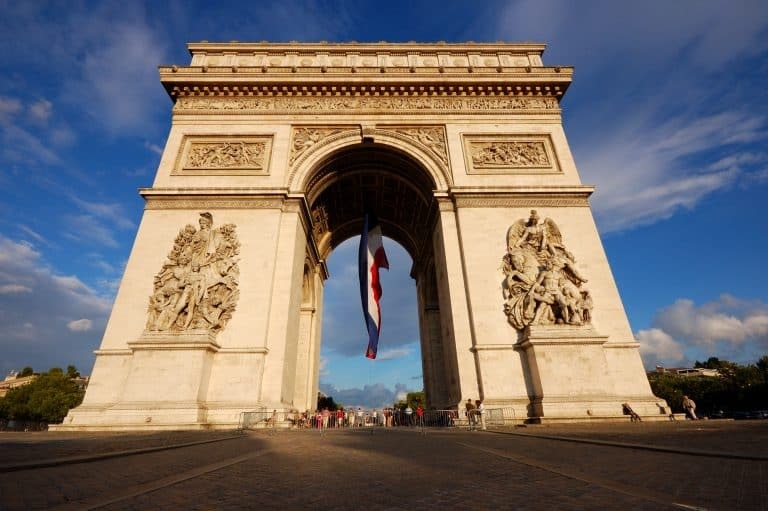 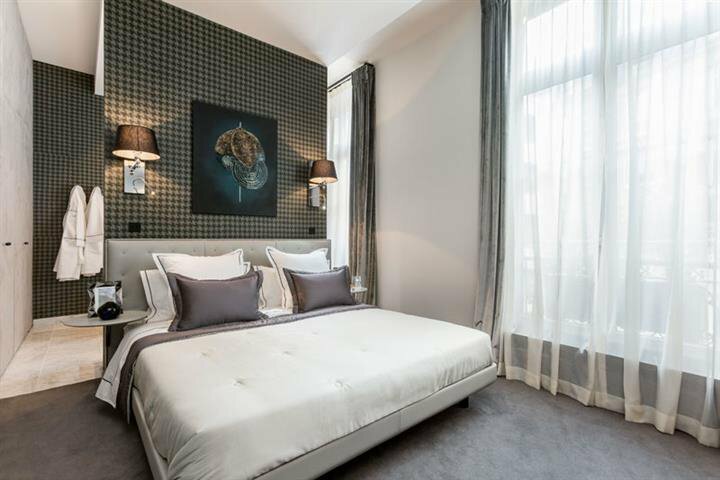 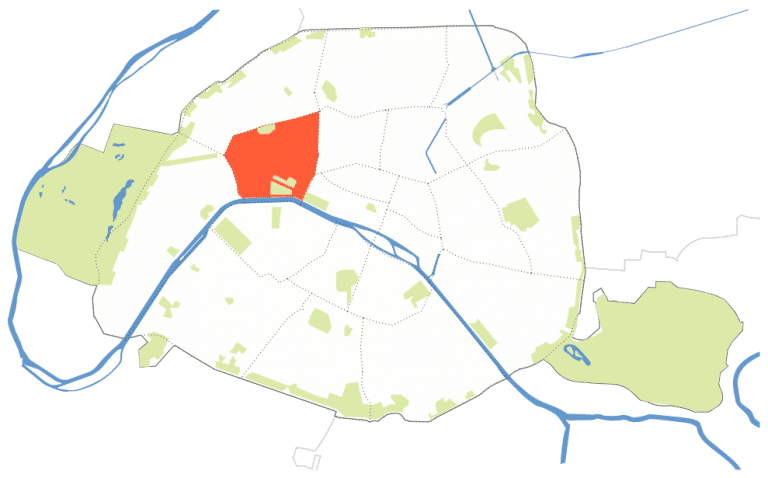 1+ bedroom, 1 bath: Golden Triangle/Trémoille – Located in a well-maintained Haussmannien building this beautiful apartment of 57 m2 is situated on the 2nd floor (with elevator) overlooking a large and attractive courtyard. 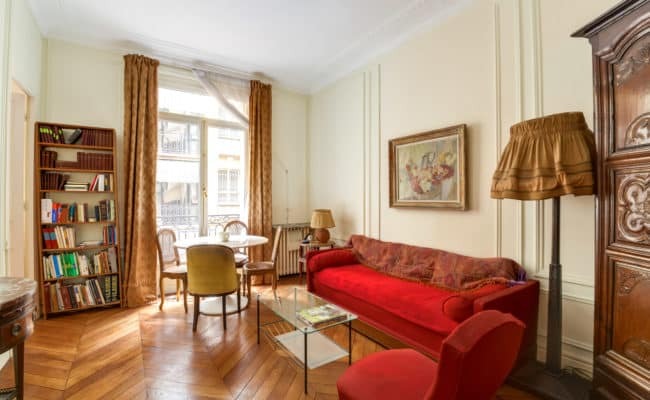 The apartment is comprised of a beautiful entry, a living room / dining room, separate kitchen, a large bedroom, bathroom and a 2nd small bedroom or office.